However, today, they are blocking the roads off Gwang-hwa-moon for some Pope Francis event (he's here). You can't get even off City-hall station; you can't even transfer. It's like blocking off roads in DC for Dalai Lama at July 4th Independence day. I'm not a hater. My point here is that, it just doesn't make sense! Korea is not a "catholic" country (not yet?..). It takes tax money, time and labor to block off Gwanghwamoon. And today is the very day the country got liberated from colonial rule of Japan! Independence day! So Pope Francis and the Catholic is more important that celebrating their independence. That's what I'm getting here. And that seems to be the message the govnt wants to send. "Gwanghwamoon" is where many important events are held. So when a parent takes their kid there today, they see a Catholic event instead of celebrating their independence and those that made it happen. Strange. Very Strange. Any trace of the govnt sending off a message off like that is a big alarm to me. Trying to wipe off their culture, religion... What is more important? 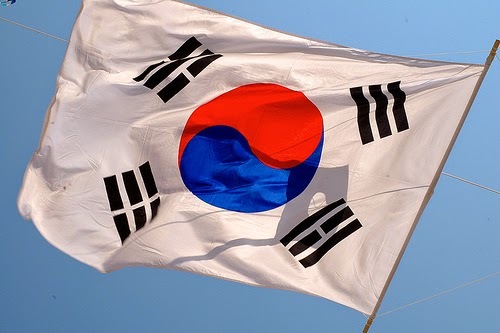 What more is going to change in Korea?